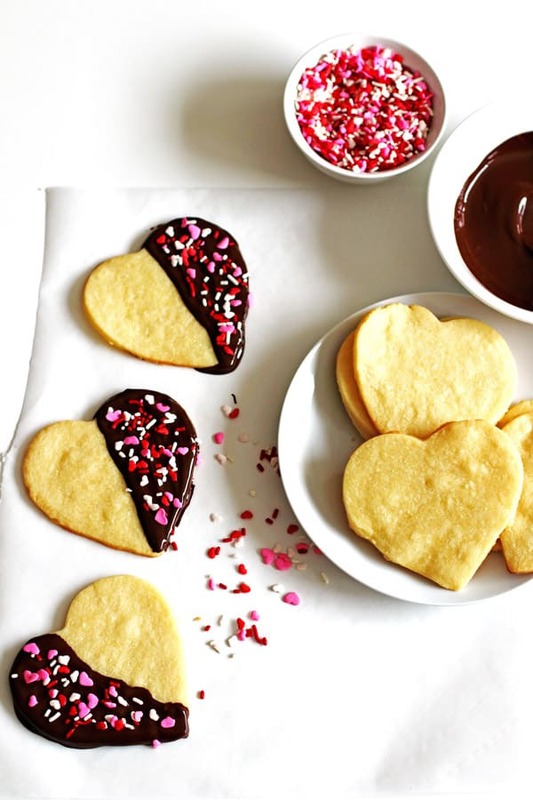 These easy to make Sugar Cookies just got better by dipping them in chocolate! They make a great dessert and also are great as a gift for Valentine’s Day or Mother or Father’s Day! These Easy Sugar Cookies can be made quickly and you probably have most, if not all, the ingredients already in your house. Here at my house it is cold outside today. So if I can skip a trip to the grocery store, then that makes me happy…and warm! 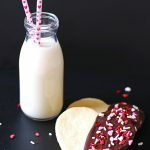 These cookies are a recipe I make for Valentine’s Day but can be made any time of the year. 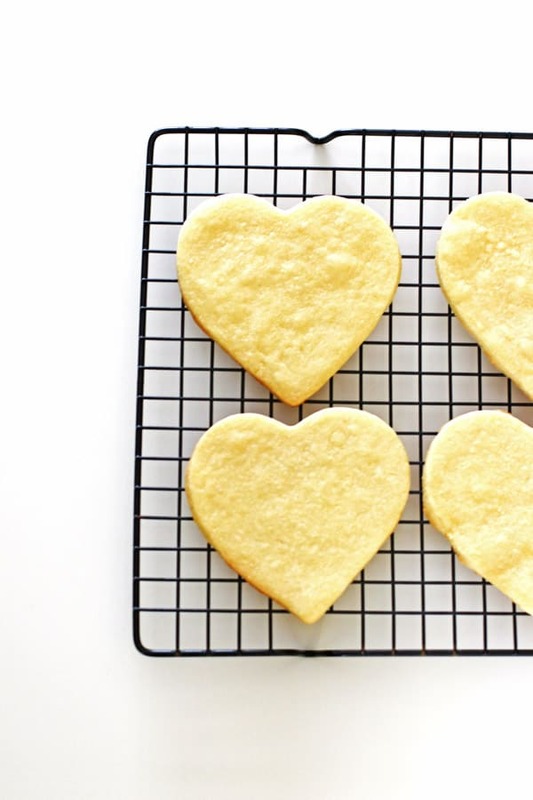 The heart shapes are great to give your special someone, kids or for anyone who loves cookies! 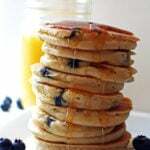 This is a great recipe for kids too as it is easy for them to help make! Sprinkles make any recipe kid friendly, don’t they?! This recipe requires the cookie dough to be chilled for at least an hour to overnight. Why chill the dough? By chilling the dough it will be easier to work with and it won’t stick to the rolling pin or working surface as much if chilled. It also gives nice edges when cutting out the dough with cookie cutters. 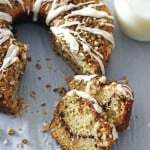 To make the dough, cream the softened butter and sugar until light and fluffy. The butter needs to sit out at room temperature to soften up a little. Once you can gently press down on the butter with your finger and get a slight imprint, it is soft enough to mix in with the sugar and get the dough light and fluffy. No time to take the butter out to soften? If this happens, just cut the butter into small pieces (about 1/4 -1/2″ size). It is always best to have it softened, but sometimes we just don’t have the time or we forget to take it out. Next add in the salt, egg and vanilla. Slowly mix in the flour. Once all the ingredients are combined, shape the dough into three separate dough balls. This will help divide the cookie dough once it is chilled. Then you will be able to take a little dough at a time to roll out and cut out with your cookie cutter. Place the dough balls in a bowl, cover tightly and chill dough for at least an hour to overnight. Once ready to make the cookies, take the dough out and let it sit on your counter to soften up a little while the oven preheats. It will be pretty hard from chilling so the dough might need to soften up a little. Preheat your oven to 375 degrees and cover your baking sheet with parchment paper or a silicone mat. Take out one of the ball of dough at a time to work with. Generously flour your area that you will be using to cut out the cookies and your rolling pin. Have some extra flour in a bowl to add to the working area and rolling pin as you are working. Using your rolling pin, roll out the dough so that it is about 1/4″ thickness. 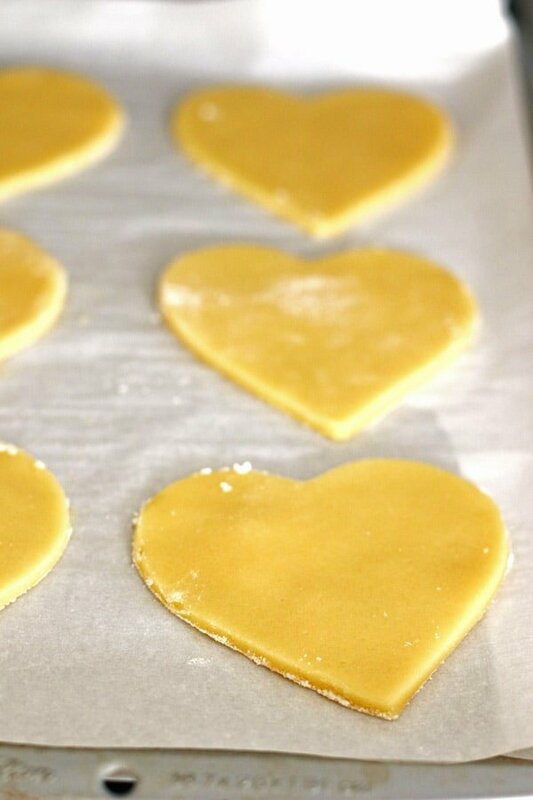 Using your cookie cutter, cut out as many hearts as you can by leaving as little space in between each heart cut out so that you use as much dough as possible. What to do with the extra dough after cutting the cookies out? 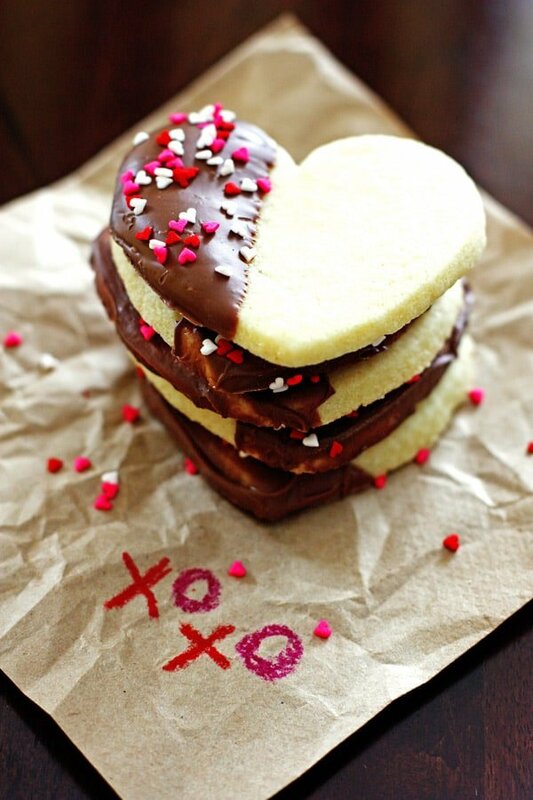 If there is any extra dough after cutting out the hearts, roll it up in a ball and cut out more cookies if you have enough. If not set that aside and combine with the extra dough from the other dough balls and cut out more cookies. Having a hard time getting the cut out cookies off the counter and onto your baking sheet? Here is an easy way to get them off the counter. Use a a thin pie server or spatula (covered with some flour) to lift up the cookies from your working area to the baking sheet. Sometimes they can be hard to lift off the counter or table. Place the cut out dough onto the prepared baking sheet, leaving about an inch between each cookie. Bake them for 8-10 minutes. Let them cool completely before dipping them in the chocolate. Once they are cooled, melt the chocolate. The cookies need to be completely cooled before you dip them in the chocolate. Break apart the chocolate bars and place them into a microwave safe bowl. Heat on high for 30 seconds and stir. Heat for an additional 30 seconds and stir again. If the chocolate is not melted heat for 10 second increments, stirring after each one until the chocolate is melted and smooth. For easy clean up, place parchment paper over your work area. Dip half of your cookie into the melted chocolate or use a spoon to spread the chocolate evenly over half of the cookie. Add the sprinkles right away before the chocolate starts to set. Place the cookies to the side and let the chocolate set. And that’s it! Beautiful cookies that are really easy to make. Another fun and kid friendly recipe to make is this one for Puff Pastry Dessert’s. They are also a dessert shaped in hearts which make them a great gift! How many cookies you get from this recipe depends on the size of your cookie cutter. I used a heart cookie cutter that was about 3″ and made about 20 cookies. The dough needs to be chilled so that it will stick less to the counter and rolling pin while making them. Chilling the dough also gives the cookies nice clean cut edges. Make sure you generously flour your working area before rolling out the dough. Also sprinkle flour over your rolling pin so that the dough will not stick to it. Use a thin pie server or spatula (covered with flour) to lift up the cookies from your working area to the baking sheet. Sometimes they can be hard to lift off the counter or table. I like to bake one cookie sheet at at time placed in the center of the oven to make sure the cookies bake evenly. Prefer to do two at a time? Then I would suggest to space oven racks so oven is divided into thirds and switch cookie sheets top to bottom and also back to front halfway through the baking time. I prefer using semi-sweet bakers chocolate bars over chocolate chips. 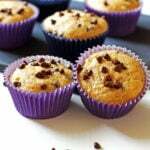 You can use chocolate chips if that is what you have on hand. I like to use the bakers chocolate bars for a couple of reasons. 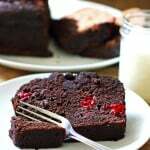 It melts nicely and doesn’t seem to harden up as quickly as chocolate chips which gives you more time to work with the chocolate. Did you make this recipe? Let me know how you liked it by leaving a comment and a rating below in the comment section. Thanks so much! 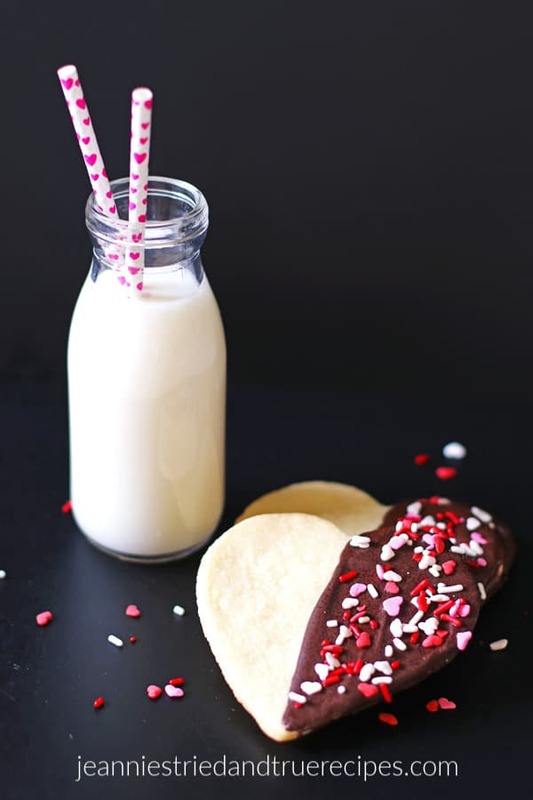 These sugar cookies are easy to make and even more delicious when dipped in chocolate. They are a great dessert and make a nice gift for someone special. Form the dough into three balls. Place in a bowl, cover and chill dough at least one hour and up to one day. Once the dough has chilled, preheat your oven to 375 degrees. Take the dough out to warm up a little while the oven preheats. Lightly flour your surface for cutting out cookies and your rolling pin. Take out one dough ball at a time and roll out the dough to about ¼” thickness. 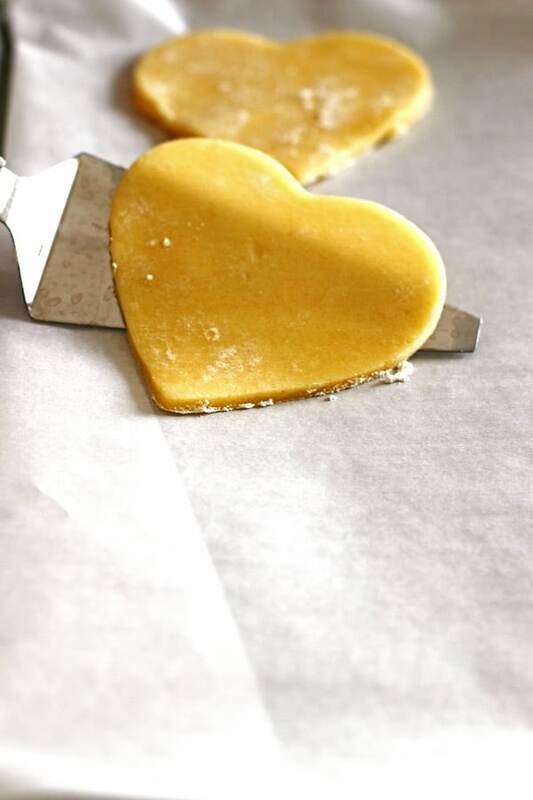 Cut out hearts with your cookie cutter and place them on your covered baking sheet. Let cookies cool completely before dipping in the chocolate. 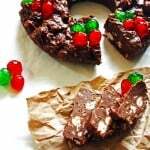 Break apart the chocolate squares and place into a microwave safe bowl. Heat the chocolate for 30 seconds and stir the chocolate. Heat for an additional 30 seconds and stir. If it needs to melt more, heat at 10 second increments, stirring after each one until the chocolate is melted and smooth. 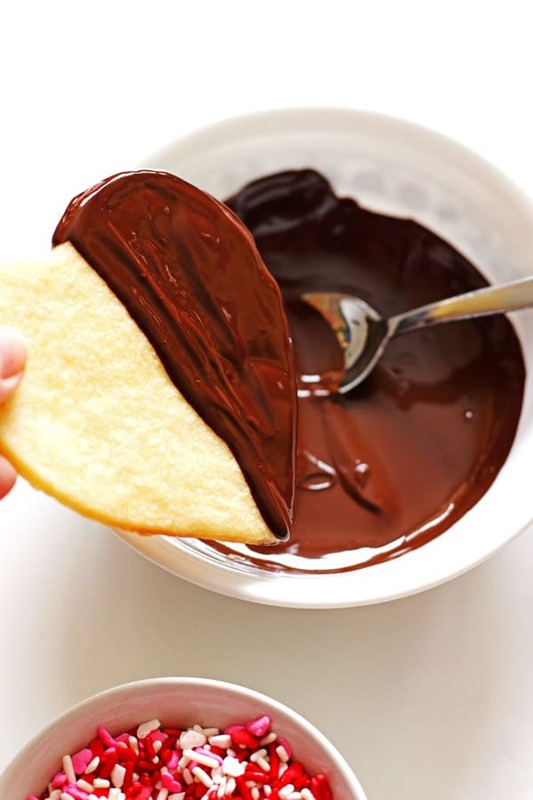 Dip half of the cookie in the melted chocolate or use a spoon to spread the melted chocolate over the cookie. Cover with sprinkles right after dipping in the chocolate. Let them sit a little while so the chocolate and sprinkles can set. How many cookies you get from this recipe depends on the size of your cookie cutter. I used a heart cookie cutter that was about 3" and made about 20 cookies. The dough needs to be chilled so that it will stick less to the counter and rolling pin while making them. I like to bake one cookie sheet at at time placed in the center of the oven to make sure the cookies bake evenly. If you prefer to do two at a time, I would suggest to space oven racks so oven is divided into thirds and switch cookie sheets top to bottom and also back to front halfway through the baking time. I prefer using semi-sweet bakers chocolate bars over chocolate chips, but you can use chocolate chips if that is what you have. 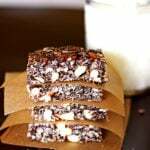 I like to use the bakers chocolate bars because it melts nicely and doesn't seem to harden up as quickly as chocolate chips which gives you more time to work with the chocolate. I’ve been looking for a recipe like this for awhile now. 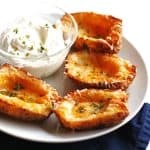 These are the best since they’re so easy to make, yet they taste so delicious. 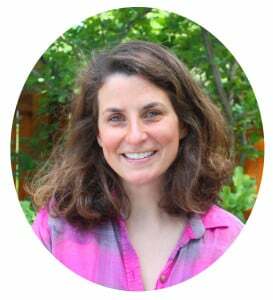 Glad they work out for you Stacey!